This video shown my homebuilt DIY 3D printer. 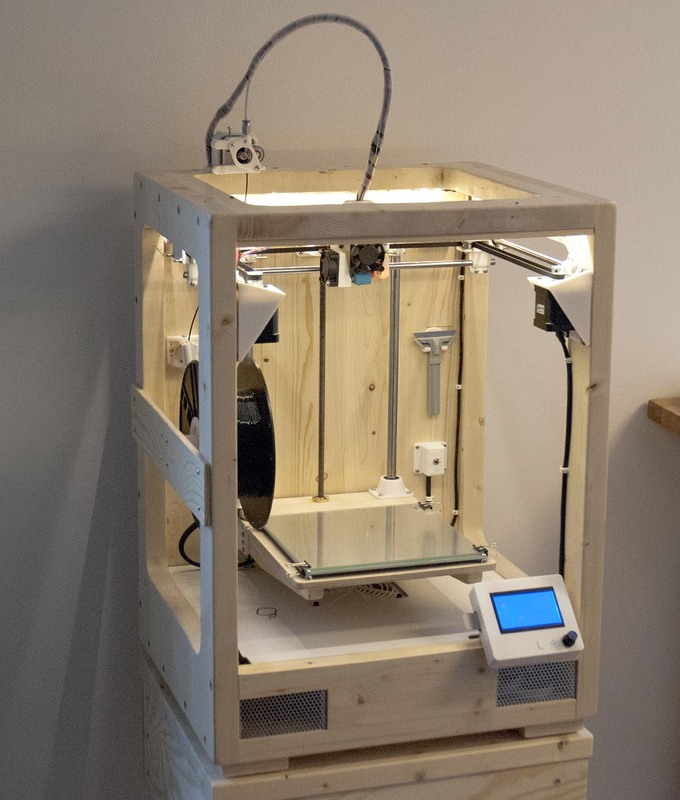 It is a CoreXY design with a wood frame and 3D-printed parts. This entry was posted in CAD, Electronics on March 29, 2017 by Axel. I have rebuilt my balancing robot. The reason was that I wanted to fit more sensors and functions, and there where no space for that in the previous design. I have also rewritten all the code and replaced the Kalman-filter I previously used for angle estimation with a complimentary filter instead. This in combination with a higher center of mass have made the robot a lot more stable and tolerant against pushes and other disturbances. A Kalman-filter should work better than a complimentary filter, but the Kalman-filter is a lot more complicated. Since I do not understand exactly how the Kalman-filter worked, it was to hard for my to tune it properly. The estimated angle of the robot was reacting to slow. My current solution with a complimentary filter is much more responsive. That allowed me to increase the parameters of my PID regulators to make the robot more stable. This entry was posted in Arduino, Electronics on August 31, 2016 by Axel. This video shows some new IR distance sensors I have installed on my self balancing robot robot. The IR sensors are short range (5-10 cm) and should prevent the robot from running into things that the main ultrasonic sensors miss. The video also shows two servos I have installed under the robot. They are not connected yet, but they will later be used to raise the robot up again if it falls over. This entry was posted in Arduino, Electronics, Robots on February 12, 2016 by Axel. It was about three years since last time I built a robot. I have learned a lot of things since then, now it is time for a new robot project. 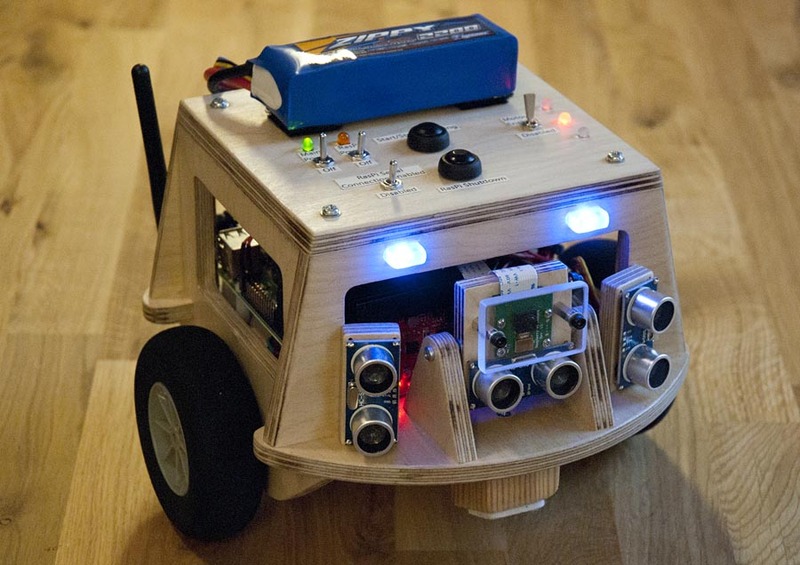 Now I have built a self balancing robot based on Arduino. This robot uses stepper motors, the balancing is done using a PID regulator. In this video, the setpoint angle is adjusted proportionally to the speed of the motors to keep the robot from drifting away. Later I will add a second PID regulator for this instead. Currently the robot can only stand still, but this will be a platform for more experiments in the future. There is a Raspberry Pi 2 installed in the robot. Right now it does nothing, but it will bu used to persorm higher level functions like navigation, obstacle avoidance, remote control and maybe computer vision using the raspberry pi camera module. This entry was posted in Arduino, Electronics on November 9, 2015 by Axel.